Hi, friends! I hate that it's already Monday. Like always, the weekend flew by. You know what they say, though..."Time flies when you're having fun!" And this weekend? It was definitely fun! Let me give you a quick run-down on the happenings. 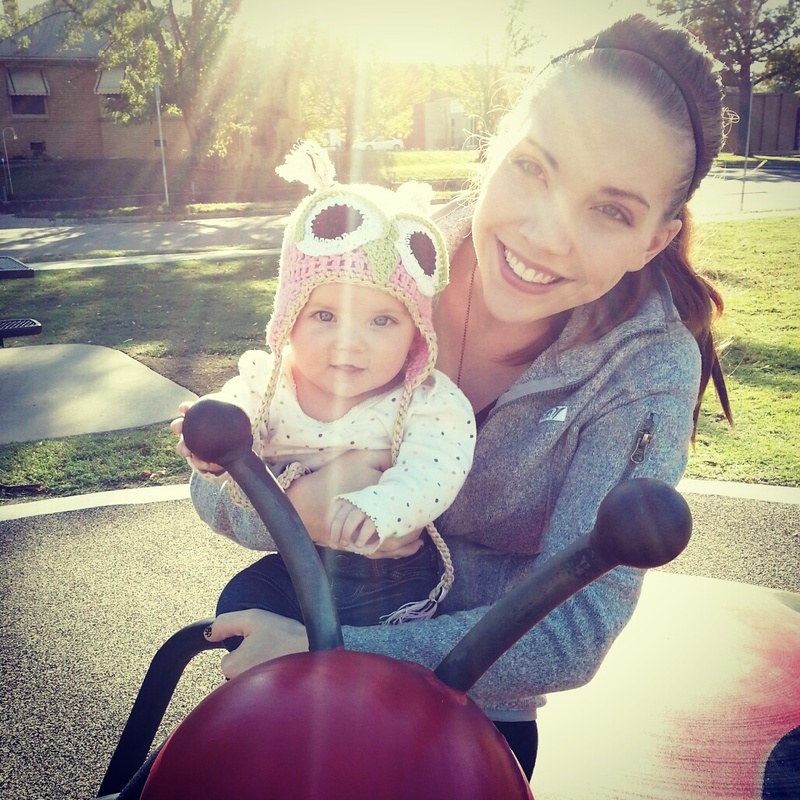 Saturday, we got up early and ventured out to the park! Sadly, there weren't any swings, but let me tell ya, Mila loved the slides! We spent the rest of the weekend being lazy and just enjoying time at home! 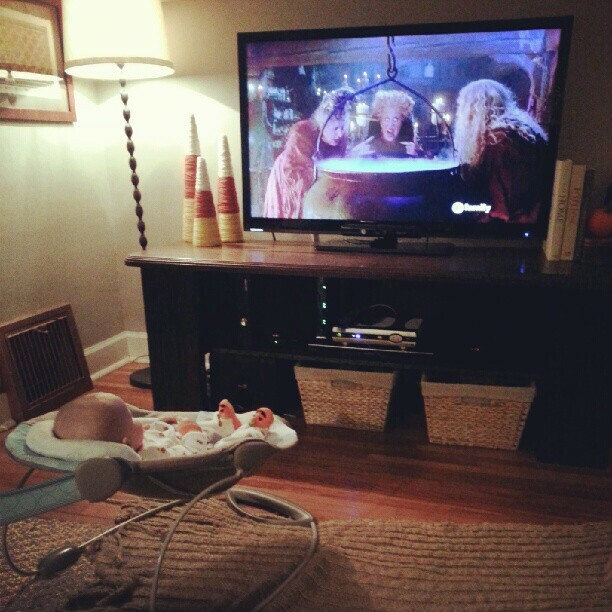 We did manage to watch Hocus Pocus. I think it's Mila's new favorite movie! She is seriously adorable! I am in love with that owl cap. Where did you get it? 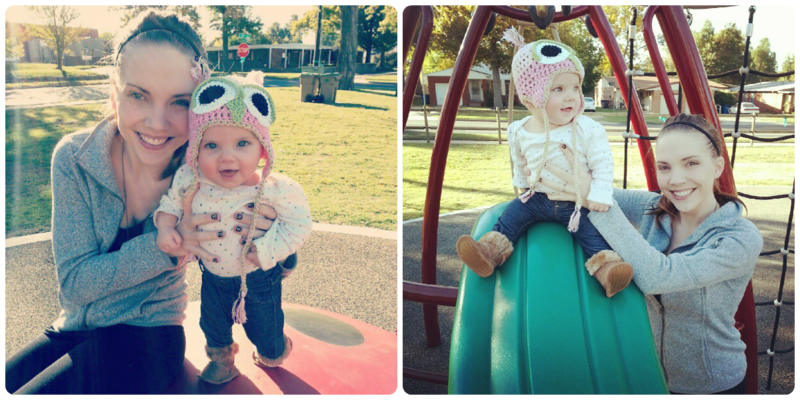 Oh gosh I LOVVVE that owl hat! Guinevere just learned that owls say "hoot hoot!" and she is an owl for halloween, but I think she needs one of these for winter! 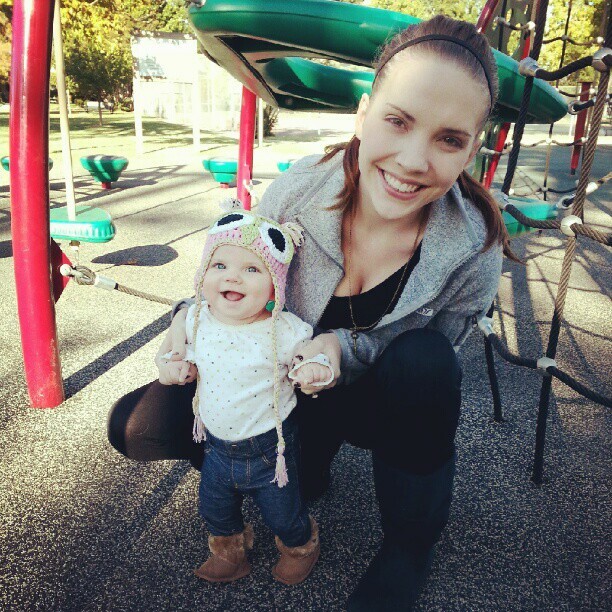 Oh my gosh your baby is beautiful! !